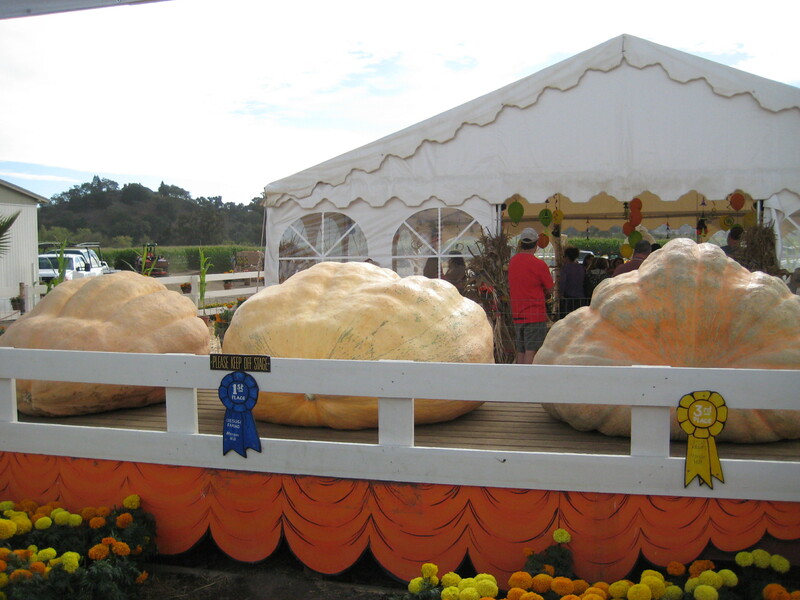 Looking for the Ultimate Bay Area Pumpkin Patch? Look to Uesugi Farms. When you think of Northern California, there are some pretty distinct images that may come to mind: the Golden Gate Bridge, Napa Wineries, Canary Row, San Francisco. However, the vast majority of people would never imagine a farm. And yet large swathes of the greater Bay Area are given to farmland. Fresh, organic produce is a “thing” up here for a reason, even if we forget how close it is most of the time. Today, I stopped by a genuine, classic farm that is one of the few that would be at home in the Midwest: Uesugi Farm’s Pumpkin Patch. 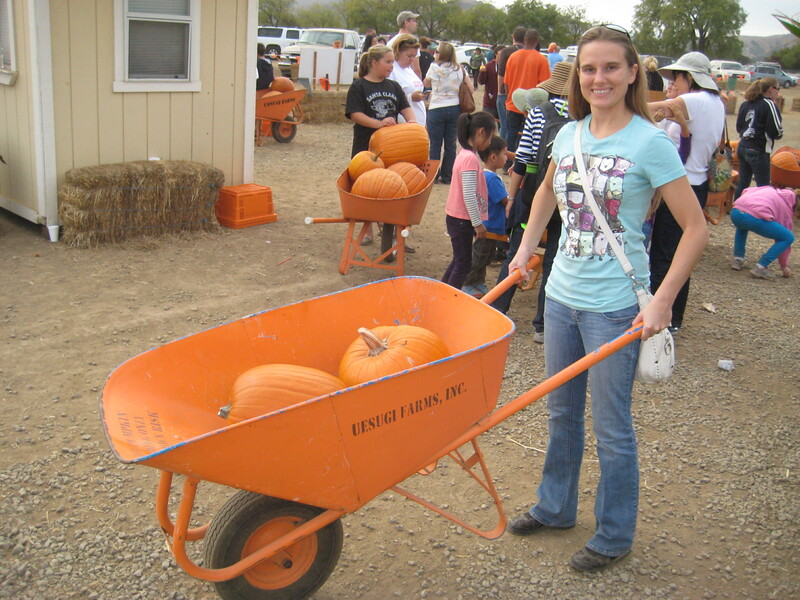 Far more than the average corner lot covered with straw and pumpkins, Uesugi Farm is a one-stop shop for all of your family-friendly Halloween needs, complete with decorations, corn mazes, hay rides, even a pumpkin chucker…and of course, lots of pumpkins. The attractions were actually quite good. The pumpkin chucker resembled a massive canon and seemed to have the power of one. It claims to send the pumpkins to their doom at over 90 miles-per-hour, and I don’t doubt them. Those pumpkin grenades were lethal. Needless to say, their line was one of the longest on the farm. 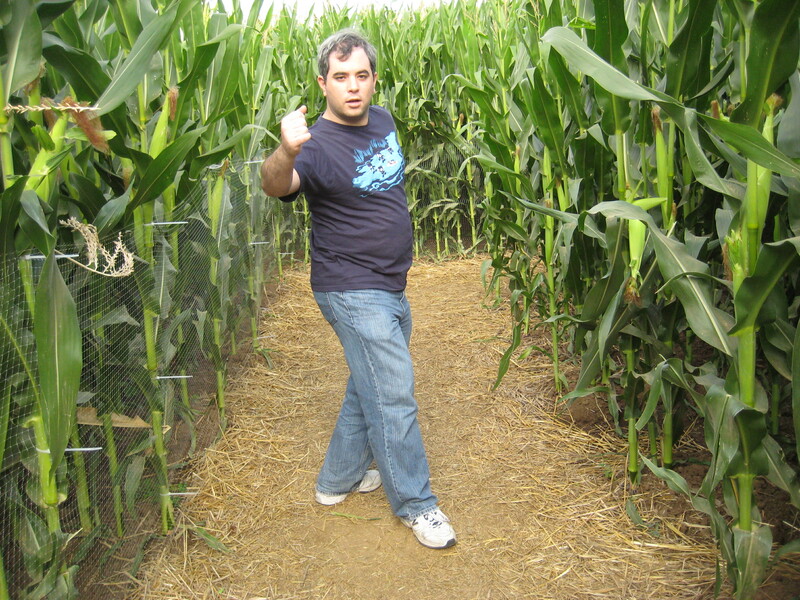 The corn maze was quite impressive as well. Two acres in size, it actually took us at least 20 minutes to get through even with our trivia guide. We thought it was pretty clever that you could choose trivia on different subjects to point you through the maze, even if it didn’t actually help navigate that much. 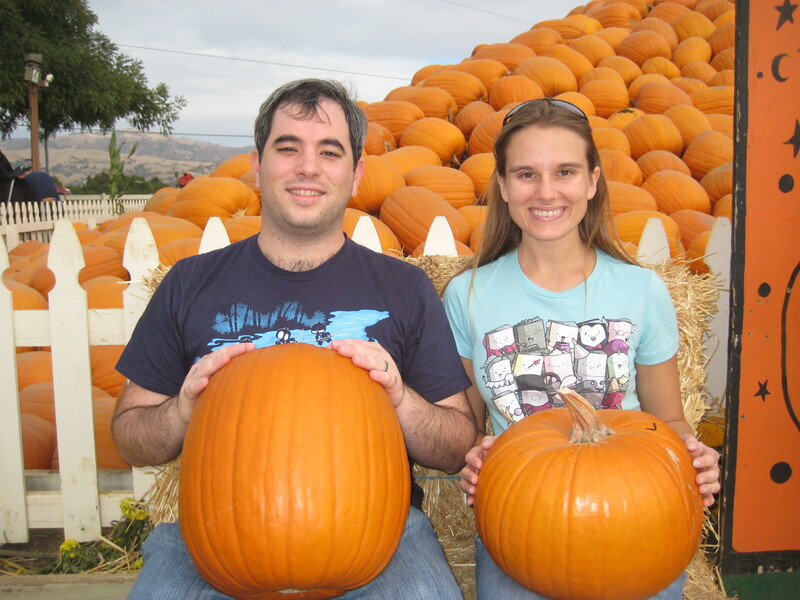 However, my favorite part of the pumpkin patch was the pumpkins themselves. Most commercialized pumpkin patches do pumpkin sales as more of a side business, and they are inevitably over-priced. Not here. The selection was vast, and the prices were very reasonable even before you take into account their 2-for-1 deal on all normal pumpkins. It was almost worth the gas out there to save (at least) $13 on our 2 large and beautiful pumpkins. When I was a kid, I loved our pumpkin patch. 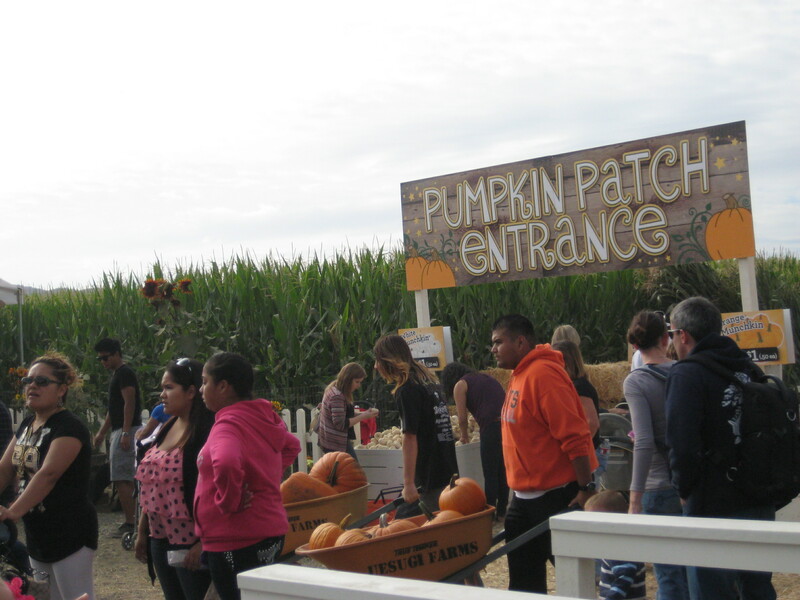 Though in the midst of the Southern California suburbs, it had lots of activities, great pumpkins, and a truly authentic feel. Although it has since turned into a Walgreens, I think of it often when October roles around and often find myself looking for another like it. Uesugi Farm gave me hope that my kids may yet build memories as fond as I have of my pumpkin patch. Why do I care about your stupid blog? Me. Right. Well, I grew up in Southern California, 20 minutes or less from Disneyland, the beach, and various SoCal-like establishments (i.e. malls and taquerias). At the ripe old age of 17, I left sunny Southern California for Berkeley, Canterbury, Chicago, San Jose, and other less-warm places and have been looking back ever since. My perfect day would include drinking a glass of wine while dining at the Golden Vine Winery in Disney's California Adventure after a hard morning's ride-going and following it up with an afternoon swim at the beach and dinner at a fine Italian restaurant (or French or Indian or really anything tasty and non-American). I love traveling, and I love California, and I love writing about traveling in California.